Strawberries and teapots are a few of my favorite things. 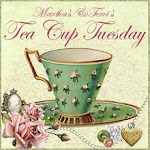 I'm a new fan of Laurie's Favorite Things Saturday and I'm also linking to Sunday Favorties at Chari's Happy to Desgin, Marty's Tabletop Tuedays, Lady Katherine's Tea Time Tuesday, Rhondi's Tea Party Tuesdays, Susan's BTNOP Tablescapes Thursday and Cindy's Romantic Home Show and Tell Friday! So many social engagements...so little time. LOL! Join in all the parties for lots of fun and great ideas. year of blogging and set a special strawberry table to share with my bestfriend. She gave me this adorable teapot ...she knows me so well and chose this "girly" pink rose covered teapot for me. Thanks Valerie!!! I served her spiced tea, a fresh vegatable and bow -tie pasta salad topped off with fresh strawberries. I thought this sweet teapot went well with the strawberry colors and my favorite little pink petaled cake stand. I found these pink plates on clearance and loved the soft pink color and the border. They look good layered on the off white Target dinner plates I 've had for years. I found these strawberry plates at Pier One...hard to resist, since I had purchased an April Cornell strawberry tablecloth on my trip to Texas. I thought they would look perfect for the table! I found these strawberry pewter bowls at Goodwill for a steal several months ago...4 for $3.00. So cute to serve fresh berries in. For an alternate look I switched out the pink plates for the green cabbage and layered the Pier One plates on top...I like this look too! Candles and silk flowers add to the table for two. I just used red napkins with a simple white porcelain napkin ring...you can add flowers too for a more "girly" look. I went to a friend's estate sale and found these beautiful teacups from Johnson Brothers..the pattern is Enchanted Garden...I love this pattern and I'm looking for more pieces if the price is right. Finally, I added my family's favorite strawberry jam from Swanton Berry Farm in California. It's the best! We love our visits and when we run out of jam..it's time to go back to the farm! I hope you will enter my giveaway...see details below. The past year has flown by since my first post last spring! I really didn't know what I was doing.. but I was having fun! I have met so many wonderful people throughout this year. Thank you for all the encouragement and inspiration you have given me. Every comment brings a smile to my face. I've also gotten to know some of you...your highs.. and lows and had the opportunity to pray for some and rejoice with others! We all love PB and I know there is something on your wishlist for the spring/summer season! 2. New followers who leave comments =one entry. 3. If you mention giveaway on your blog with link=two entries...please let me know you've done this. 4. Grab my button and mention giveaway=3 entries. Be sure you notify me you've done this! April 24th at 10:00pm EST. This sounds exciting. Newbie here. And please come visit us as our giveaway closes tomorrow. -- Jane F.
I don't think we have a Pottery Barn around here in our area (Niagara Falls Ontario) but I did want to say Happy Blog Anniversary/Birthday blog..it's your blogs' 1st birthday too,lol. Congratulations on your 1 Year Blog Anniversary Sonia!I am one of your followers, and I have your button on my sidebar on my blog, and I've mentioned your giveaway on my blog too.. I'd love to be entered in your Pottery Barn Certificate giveaway! Thank you! I'm a follower and I have enjoyed every visit I've made here.. Its been a pleasure to get to know you.. I am a new follower. I too like Johnson Bros dishes. 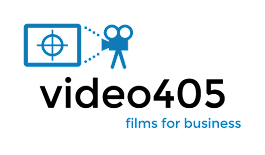 Please enter me to win your PB gift certificate. 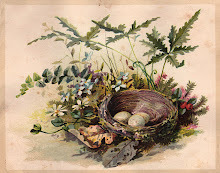 Congratulations on your 100th blog and Happy Spring. Wow, what beautiful tablesettings! Everything is gorgeous! I'm a follower. What a generous giveaway!! I love your table..so pretty..Great find on the bowls and the tablecloth is just lovely! The strawberries and the pink plates are so cute! I came back to your tablescape twice! Love the strawberry plates and the teapot. Oh my I just love the whole table setting. What a treat to sit down to that!! Congrats on the one year mark! Your table setting is great. Love how you did the displays of the stacked cups and saucers and the flower pots in the bottle holder. Those are cute strawberry plates and I love your tablecloth. Love the teapot sitting up high on the pedestal to add height to the table. I am old hat to Pink Saturday but new to you! Woot! Woot! I ove the strawberry settings! The pink and green both look lovely and that teapot is, well, I love and collect these pretty babies! Please come join me soon! Ohhh my goodness...has it been a whole year already? I remember when I first found your delightful blog! You are the sweetest and dearest lady...your friendship has been such a blessing to me, Sonia!!! Love you, Girlfriend!!! I have been inspired by your creativity and talents...time and time again! Whenever you come for a visit...I immediately smile because you and your sweet words are always such an encouragement to me!!! Sooo...a warm and hearty Congratulations on your 1st year Blogaversary!!! Sending you my very best wishes for another year of great success and much blogging bliss!!! Happy 1st year Blogaversary, sweet friend!!! Wow...what an awesome giveaway...a $50 gift certificate to PB! I certainly could do some shopping there, in fact, I have been "eyeing" some of their new floral pillows! Hehe! Thank you so much!!! Of course you know...that I have been an utterly delighted and faithful follower of Miss Bloomers! Hehe! I also wanted to tell you that I just adore your gorgeous "Strawberry" tablescape! Love, love, LOVE your new April Cornell tablecloth, Sonia! Ohhh...and those sweet strawberry plates! The entire table is sooo very beautiful...I love it!!! Thank you for sharing it with us! Your place settings, gorgeous! I love the little pink plates! 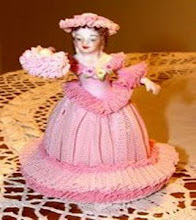 Ohhh...and your pretty pink petaled dessert stand with that fabulous teapot! What time is tea? Hehe! I would just adore sitting down to tea with you and having a little chat! PS...also, thank you so much for all of your prayers for my grandson Seth! I sooo appreciate them, sweet girl! Please keep praying!!! I know that prayer changes things!!! Loved your sweet note that you left for me on my Vegas adventure...thanks for the sweet welcome home!!! Happy 1ST year anniversary! When I started blogging it has just made my life so much better. I came to visit by way of Coastal Charm and I'm so glad I did!! Love your Blog so I'm a new follower. Your table for two is so cute!!! Love strawberries! It's just lil' ol' me again! Just wanted to let you know that I added your blog button and some info on your one year blogaversary/giveaway on my current blog post! I also added your blog button and giveaway info. to my sidebar too! Wishing you a Happy...Happy Blogaversary, sweet friend!!! new follower to your delightful site! decided to become a follower! Its posted on my site..
How fabulous! Congratulations Sonia on your Blog 1st year Anniversary. I'm really glad I've met you. Happy Anniversary!!! Your strawberry table is gorgeous!!! Beautiful pieces you add. Congratulation! I am a new follower and glad to have the opportunity to visit your blog. Oh my -- congrats on your one year. I know it felt like only yesterday when I hit my 1 year -- like you have had sooo much fun! Your post is lovely -- lovin the red! If you ever get a chance -- i would love it for you to join in with us on Friday- Finding Beauty -- as you are just that. I have put your CUTE little "MISS BLOOMERS" button on my sidebar. Happy One Year Anniversary!! And what a delightful tablescape!! I am already a follower of your great blog!! Hi -- I love this charming tablesetting -- Strawberries and cream! :-) Love how it was inspired by the pretty tea pot from your friend. Beautiful! I am a follower, and who doesn't love Pottery Barn? And most of all -- CONGRATULATIONS on your first year of blogging. The first of many, I am sure! I just found you through Laurie and I have spent the last hour reading everyone of your post. Girl, you have the most beautiful collection of dishes and accessories! I especially love the Easter tablescape. Glad I found you and I am now your newest follower. I have also put your button with giveaway info in my sidebar. I am a new follower by way of Coastal Charm! Congrats on one year of blogging! I think I am almost there, too! Your table looks delicious! Thanks for visiting, and for your sweet comment. Congratulations on your anniversary. I just found your blog, and just love it. I am a follower. Have a lovely day. Congrats on your blogaversary! Just found your blog and have enjoyed visiting. Sonia, Your table is just darling, love the strawberry plates. I am an old follower and will post a sign on my blog about your Giveaway. Congratulations on your 1st Anniversary, I so enjoyed having tea with you at your very pretty table. I'll be taking your button for my sidebar so please do enter me in to your fantastic giveaway. OMGSH! I forget who "sent" me here to enter your giveaway! I'm so new at this! You have been here a year?? oh, my! hope for me, isn't there? LOVED your table settings! So stinkin' cute!! A pretty table is so inviting, isn't it? please come and sit a minute with me? I'm at deeslittlepinkie! I love that sweet table that you have set there in your home. Strawberries are always so happy and such a fun thing to decorate with. Your teapot from your friend is so pretty, and I adore those Johnson Brothers cups. I hope you have a beautiful weekend! I have a real craving for strawberries ... wonder why? I can't take my eyes off your tablecloth. What a wonderful souvenir from your trip to Texas. I enjoy your blog! Congrats on your anniversary. Mine was in February and I know how good it feels. Wow. Now I have to run and try and find some strawberry plates around here. They are so pretty. Hi Sonia and Happy Anniversary. I loved your table, all of it,but the strawberry plates,the teapot and that pretty cake plate are my favorites.Everything is so gorgeous. Thank you for having such a wonderful giveaway. I've become a follower of your pretty blog, and have posted your button on my blog, with a link back to you..and announced your giveaway on my sidebar. Whew..I think I got it all said. P.s. I love your Miss Bloomers button,it's adorable. Happy Pinks and have a lovely week. So happy to see you join in with the fun of Sunday Favorites this week, Darlin'!!! And it's a real pleasure to see this gorgeous strawberry tablescape once again! I just receieved an email from my sister who lives in the hill country of Texas. She said that she just got back from the anual "Strawberry Festival" that they hold in Poteet, Tx. every year! I was sooo envious! Hehe! When I lived down there, she always shared a few flats of strawberries with me...mmmm!!! I hope that you're having a super Sunday, sweet girl!!! I have been in and out all day...cleaning up our patio area from the winter's mess! Hopefully I will be able to sit out there with my morning coffee soon! I do believe that Spring has finally made its appearance in Colorado! Hehe! Pretty, pretty, pretty! Sonia I love that you've gathered all of those items over time and yet they came together so beautifully. Congratulations on one year of blogging. I became a follower so count me in for the giveaway. New follower here! Saw your button somewhere (sorry, don't know where now) and just knew I had to visit! So glad I found you! Love the strawberry plates on the green plates! Darling! Congrats on 1 year blogging! Congrats on one year Sonia! Your blog is so full of beauty and inspiration. I have enjoyed every single one of my visits here. The strawberry plates are a cute as pie. Love the layered effect you created. ~Gorgeous job! Thank you for being such a kind friend to me and taking the time to write such a beautiful comment. Your words really spoke volumes and made me feel better. I think I'm trying a bit too hard lately to please and worrying in the process. You are a kind heart to see this sweet lady. I'm a loyal friend and follower. You are very generous to have a giveaway! You know I'm not a newbie to your blog, but for some reason I hadn't pushed the follow button. I have now! :) What a wonderful giveaway!!! OMGosh! LOVE those strawberry plates! And those pink ones are awesome! You table is most lovely. Hope you have a wonderful week! Happy Anniversary of your beautiful blog!! I'm a new follower, grabbed your button and my post about your giveaway is schedule for 7am tomorrow morning. Hi! I'm a new follower. I love the pink plates, by the way! Happy Blogaversary to you! I would love to enter your give-away but we are so behind the times here in Australia that we don't have a PB store...can you believe it! Good luck to all the other bloggers who have entered! I'm here! Leaving you a comment! pick me! A new and beautiful blog to follow! It is lovely here. I'm a new follower! Oops. Saw you on Sue's blog and came over to see about your giveaway. I'd love to be entered. Thank you! Geez, I'm scatterbrained. I meant to say I love those strawberry plates and that teapot, too. Really pretty table setting. Hi Sonia, congratulations on your one year anniversary. I just started blogging in February so I have a long way to go for my first anniversary. I'm a new follower, we both link up to Pink Saturday but I've never had the pleasure to visit your blog, there's just so many Pinkies out there. Your table is just adorable, I can picture myself seating there eating the strawberries with the spiced tea. Happy Monday to you. Congratulations on your blogoversary! 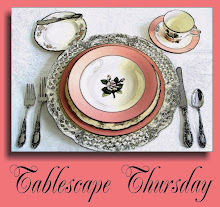 Love your pink plates, the cabbage leaf plates, and most of all the strawberry plates and transferware cups! Love your dogs, too! Thanks for being a rescuer!!! Oh how lovely. I love all of it from the tablecloth to the dishes and then the wonderful teapot. The petal cakestand is awesome. The menu sounds delicious too. I would have loved to be there for this wonderful lunch at such a beautiful table. Thanks so much for joining the party. This is such a lovely vignette. This is just the cutest table ever! Those strawberry plates are adorable, and that tablecloth is just gorgeous. This would be perfect for a summer day. Thanks for sharing! Congratulations!! What a beautiful tablescape. Isn't thrifting fun?? Ya never know what you might find:) I'm a new follower---Thanks for such a GREAT giveaway! Everything is gorgeous. I love the teacups and the teapot and your menu sounded just right! I love your strawberry table. It looks delightful. I really like your flowers in the basket. I would love the Pottery Barn gift certificate. That is a very generous giveaway! Happy 1 year anniversary! I am also a follower too. Thanks for letting me know my parcel arrived intact! Would love to win as will be in US this summer and can't wait to visit PB just for inspiration if nothing else! What a super gorgeous post..happy tea! I am in love with your red cups..everything is so enchanting and beautiful..fabulous work!! Awesome photos! I love a strawberry tea. When they are in season here in June we have many strawberry socials that are so nice to attend. Happy Blog Anniversary! Your table is so cute set with the strawberry plates and daisies. What a nice friend to give you that lovely teapot. I'm now a follower! Oh, I forgot to say--Put me down for the drawing! I am now a follower. I commented yesterday but just wanted to stop by and say I'm glad you joined the tea party! What a beautiful blog..love your dishes. I am a new follower. Thanks and happy anniversary! Happy blogaversary. I really like the table theme. Berry, berry pretty (and even better with your gorgeoso transferware cups). Jane F.
New follower here... your strawberry place settings are adorable and I may have to copy as my twin toddlers love strawberries! Happy 1st year. Please toss me into the hat for your drawing. What an adorable tea table. Everything is so pretty...I love the tablecloth, the cabbage plates and the strawberry plates. And of course I love those teacups! I'm also a follower and would love to win a $50 PB card! p/s The flatware is really pretty too! I just added your button to my sidebar also! Sonia, You are a fabulous tablescaper! I love this wonderful strawberry table. YOu have so many wonderful details! Oh, I love absolutely everything. 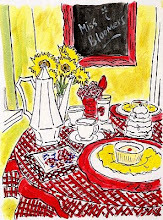 The strawberry edged tablecloth, the strawberry plates, the tea pot on the pedestal, the stacked tea cups! Just everything! Happy 1st Bloggiversary! I am now a follower, I can't believe I've not followed you yet- so sorry - my loss! Congradulations on a noteworthy acomplishement! such a darling happy table! Those strawberry plates are adorable with all the pretty dishes...lovely tablescape. Adorable tablescape .. my first visit to your page .. marked you so I can follow and come back. Love that stand you have the tea pot on it is too darling! I loved those strawberry plants when I saw them at Pier 1 and I wanted them then...now I really want them! So cute. Love your table. Congrats on your blogiversary! I signed up to follow your lovely blog! I just love those strawberry plates! They look great with both the pink and green plates but I'm especially liking the contrast of the green cabbage ones with them. Your tablecloth is lovely too. A very pleasing to the eye (and palate!)tablescape! Cute table, love the strawberry plates. Oh, this is such a cute tablescape, Sonia! I love all the strawberries!! Everything is so colorful and cheery and I love that tablecloth! Just found your blog and it's BEAUTIFUL! I just signed on to be a FOLLOWER. Also mentioned your blog/giveaway with link on my blog (which I've just started and don't know yet what I'm doing.) Sure hope I win the giveaway..you're so generous! Congrats on your anniversary! Strawberry fields forever! That is what I kept singing as I am looking at your post...then I get to this giveaway and I started to sing Here comes the sun...I am doing all of the above, followed, check....button check, mentioning it check, working on it pronto! WOW I am fast! DONE all of the above, I am so excited! Lovely, enuf said. I follow your pretty blog and would love to win some PB goodies. Happy Anniversary! I am a new follower and I love your strawberry motif! Thank you for allowing us to share in your celebration. It would be wonderful to win a Pottery Barn gift card. Again, congrats! Just wanted to come by to say Hi and see what you were up to! 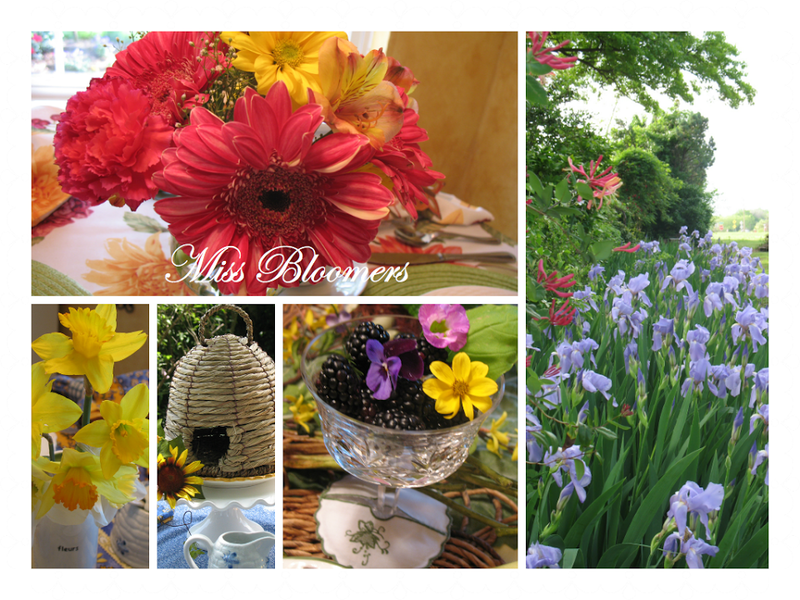 Also wanted to thank you for coming over and taking a peek at my "Springtime" tablescape! I always...always enjoy your visits and sweet notes, my friend!!! Thank you!!! Have a fabulous Friday and wonderful weekend, Sonia! Hello Miss Bloomers! What a darling tablescape, from the too-cute tablecloth, to the precious strawberry plates, the darling napkin rings & flower, to the beautiful flowers in the window. I'm out the door right now, but I'm definitely coming back to check out your blog. I LOVE what I see! Your blog is a wonderful place to be!! I am a new follower. please enter me in your giveaway. Also I love your tablescape how pretty with all the pink and red! You're stawberry table setting is sooo cute! Happy one year blog anniversary! You have a lovely blog here! what a lovely table setting.. love how it looks sooo comfy..
What a fun blog...I am a new follower. I just love all of your table settings. One prettier than the next! You blog is so pretty! 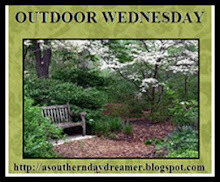 I just became a follower and I added your button to my sidebar linking back to your blog. I would love to win your lovely, generous giveaway! I just became a follower....please throw me into the hat.. LOVE this giveaway. Sonia, I love when I find a new blog as lovely as yours! I am following you now and can't wait to get to know you. Thanks for a wonderful giveaway. Love your tablescape. Love & blessings from NC! Congratulations darling. This is an utterly charming post, I am in love with all the china, enjoy them and thanks for sharing. I am a new follower, and I blogged about the FUN giveaway and added your button!! What a delightful table. Love strawberries and your table is a beautiful tribute to this delicious berry. Congratulations on your one year anniversary. I'm already a follower. Thanks for entering me in your anniversary give away. Stopping back by to let you know I've added your button to my sidebar to let others know about your give away. Thanks again. Oh my goodness! I don't know where to start with the compliments. I love the tablecloth and the strawberry plates and the Johnson Bros. teacups (a favorite pattern of mine) and the teapot on the pedestal is divine!!! I'll put you giveaway on my blog. Oh, and I am a follower too. I wouldn't miss your blog for anything! I'm a brand new follower and I love what I see! Happy Anniversary! I'll continue to read all your goodies. I've become addicted to the Tablescape Thursday posts, and I so appreciate you talented ladies sharing your tables. I love the strawberries. Oh my I almost forgot to come by and put my name in for the gracious giveaway you are having. I found your blog by way of It's a Hodgepodge Friday! I'm now following your blog and added your button to my blog. What a fantastic giveaway! Congrats on one year! Your table looks gorgeous. I love strawberries. Thank you for the opportunity to win your great giveaway. I am following your blog, and I hope you will follow mine, too. 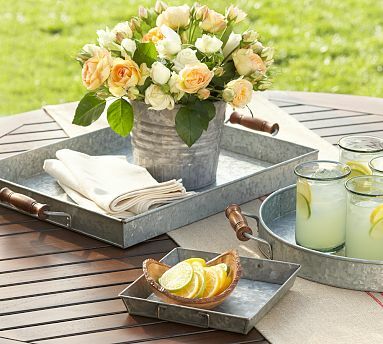 I adore Pottery Barn, and usually have a wish list of things I love! I just became a follower. Congrats on 1 year of blogging!